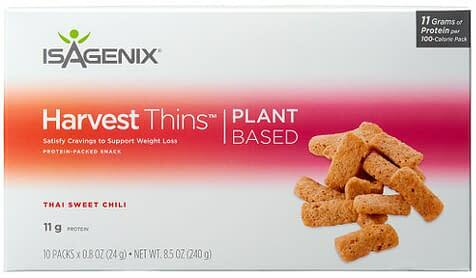 New from Isagenix - Dairy-Free Harvest Thins in Thai Sweet Chili Flavor! Introducing The New Dairy-Free Option to the Popular Isagenix Whey Thins Snacks! When cravings for a snack hit, you may feel that your weight management goals can fly right out the window. But snacking can be beneficial in helping you to reach those weight loss goals. These Thai Sweet Chili Harvest Thins are the newest addition to the Isagenix Whey Thins snack line but these ones are dairy-free! Perfect for anyone who may have dairy sensitivities, or wish to reduce dairy from their diet. Packed with a whopping 11 grams of high-quality pea protein, each 24g individual pack of Harvest Thins only contain 100 calories per serving. These zesty and spicy snack crackers are the perfect choice for in between meals. Each serving contains 11 grams of high quality plant based pea protein and are only 100 calories per pack. There is no dairy or gluten added to these satisfying crackers and make an excellent snack for those who have dairy free and gluten free diets. Cleanse days are a vital component of the 9 day and 30 day Isagenix Cleansing System. And happily, these dairy-free Harvest Thins are an approved snack during your cleanse days. Indulge your taste buds with the awesome Thai Sweet Chili flavor! This is the first flavor for the dairy-free option of snack crackers and are sure to be a huge hit! When your goals are weight loss, and you are on a restricted calorie diet, getting enough quality protein can be a challenge, especially if you don’t eat dairy products. These new, zesty Harvest Thins crackers make a great snack with 11 grams of protein and only 100 calories per serving! Keep a packet of Harvest Thins handy at all times, and if you feel your energy levels slipping, snack on one of these crackers to help keep your protein stores up, keep your metabolism cranked up and to help quelch in-between meal cravings. When you are overly hungry or a snack attack hits, it is easy to fall prey to snacks that can be loaded with sodium, sugars and empty calories. Snacking can be a vital component of a healthy weight loss plan, and choosing a snack that is packed with protein can be vital to helping you stay full and satisfied longer. Appropriate snacking also helps to keep your blood sugars stable and can help to curb cravings. Stay on track with your weight loss goals with these fun Thai Sweet Chili flavored Harvest thins! Why does Isagenix use pea protein for their dairy-free options? It seems that every day we see more and more dairy-free foods that contain pea protein. Why is that? Pea protein comes from yellow peas that are turned into powder. Pea protein powder tends to be the most hypoallergenic of all protein powders and is suitable for most people. They contain large amounts of peptides, helping to keep you full longer and also contain the important amino acid l-arginine which is critical for building muscle. Can I eat these if I have a dairy or gluten allergy? Yes! These Harvest Thin snacks are made from pea protein and are completely dairy and gluten free. Can I eat these while on a 9 day or 30 day Isagenix Cleansing Program? Absolutely! Isagenix cleansing systems, whether the 9 day, 30 day or the once a week cleanse day, are designed to incorporate healthy snacking to help keep blood sugars stable and energy levels up. So yes, you can eat these during the program and even on cleanse days. Harvest Thins can help you satisfy cravings and hunger pangs and can be eaten between meals. 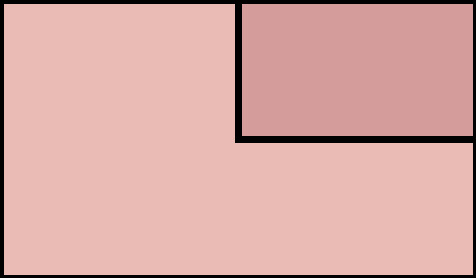 On Cleanse Days, it is advised to eat a few at a time throughout the day. Dairy Free Isalean Bars or Shakes. If you’ve been searching for a dairy free, high protein snack, then look no further and order your box of Isagenix Dairy Free Harvest Thins Thai Sweet Chili, today!